AE Gold Bullion Hi Res Obv Dollar Americana PowerPoint Templates And PowerPoint Themes 1012-"Microsoft Powerpoint Templates and Background with american gold coins"-AE Gold Bullion Hi Res Obv Dollar Americana PowerPoint Templates And PowerPoint Themes 1012-This PowerPoint template can be used for presentations relating to-"American gold coins, money, finance, business, americana, success" With our Ae Gold Bullion Hi Res Obv Dollar Americana PowerPoint Templates And PowerPoint Themes 1012 there is no sitting on the fence. The audience will see a definite choice ahead. 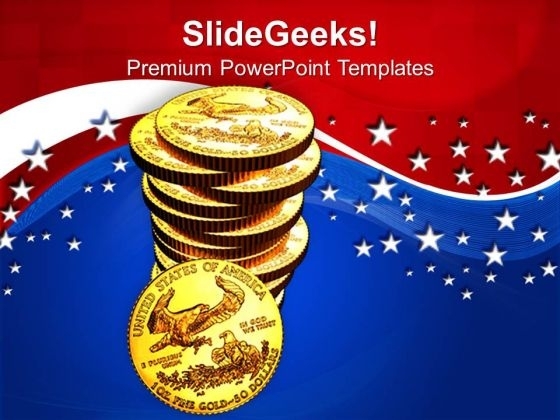 Publicize your views with our Ae Gold Bullion Hi Res Obv Dollar Americana PowerPoint Templates And PowerPoint Themes 1012. Download without worries with our money back guaranteee.